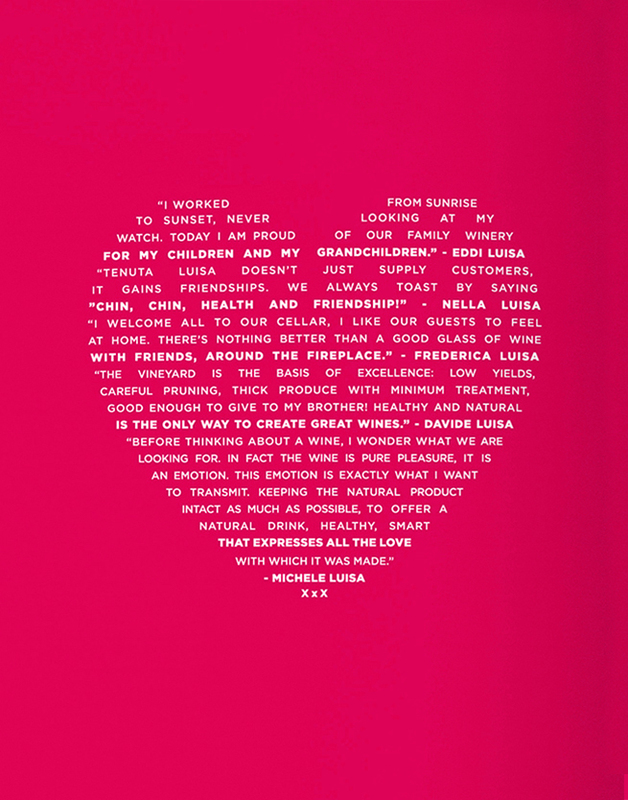 A family run winery communicating values of warmth, honesty and charm through their philosophy, brand and communications campaign. 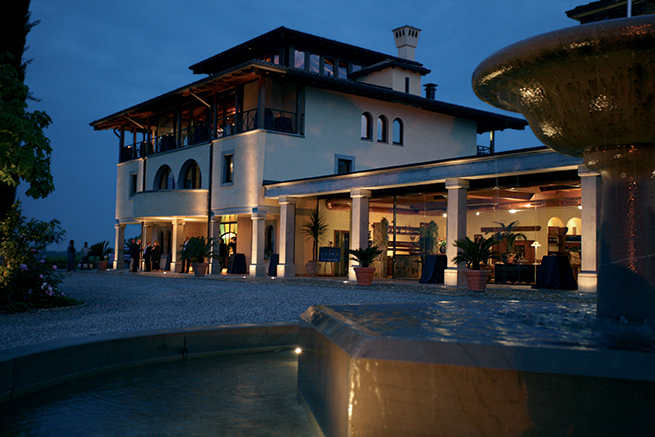 Over the years this family-owned winery from Friuli Venezia Giulia in Northeast Italy has created memorable wines built on a foundation of warmth, honesty and charm. 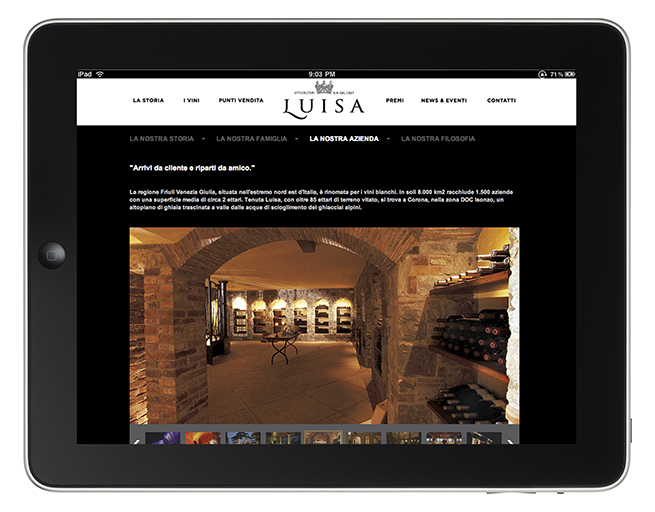 With hand-crafted products made with respect for nature and faithful to the terroir of origin, the winery at Tenuta Luisa aims for authentic emotion and the simple pleasure of savouring their wines at their best. 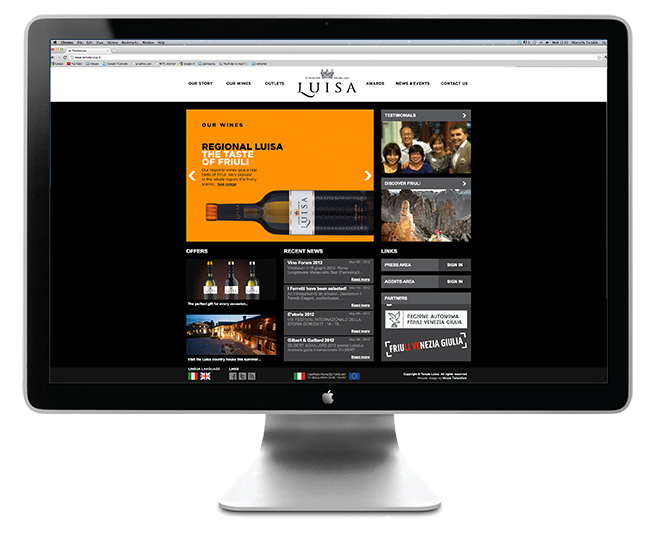 Now in its fourth generation of winemakers, the Luisa family winery is run by Eddi and his two sons, Michele and Davide. 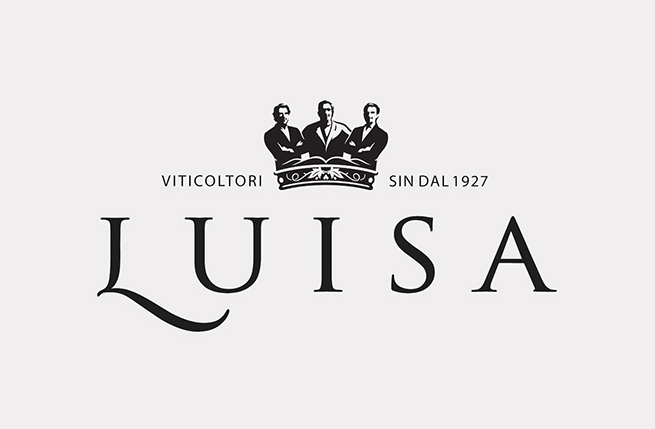 Since starting out in 1927, the family has applied the same enthusiasm, courage and foresight to grow the Tenuta Luisa legacy so that they now produce over 850,000 bottles a year from 90 hectares of land, exporting their wines all over the world. 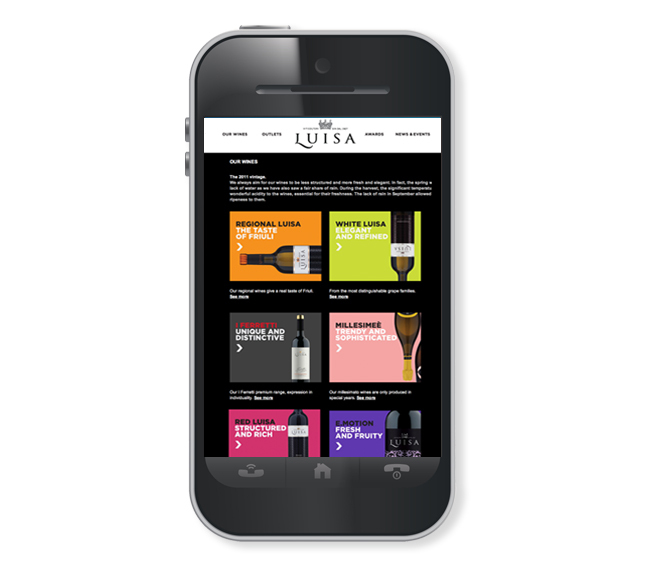 With the Luisa brand gaining more exposure among the trade and buying public, we felt the time was right to amplify the message and seal the winery’s reputation with updated packaging designs and an integrated communications campaign involving online and printed media. 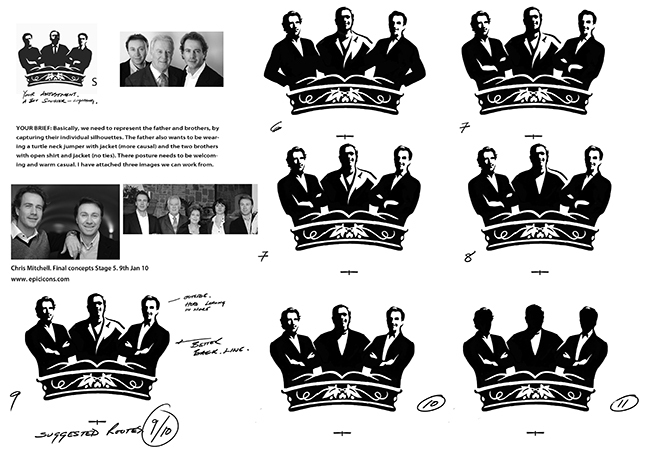 Prior to our involvement, the winery’s labels featured an anonymous looking crown device. 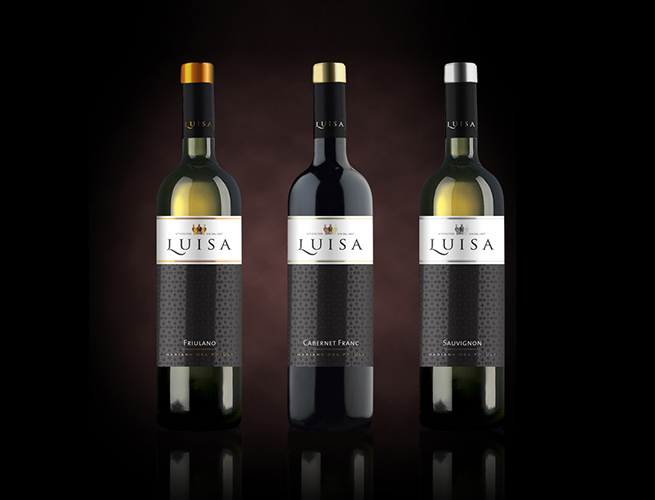 We believed there was an opportunity for the Luisa family to personally underwrite the quality of their wines by putting themselves on the bottle. 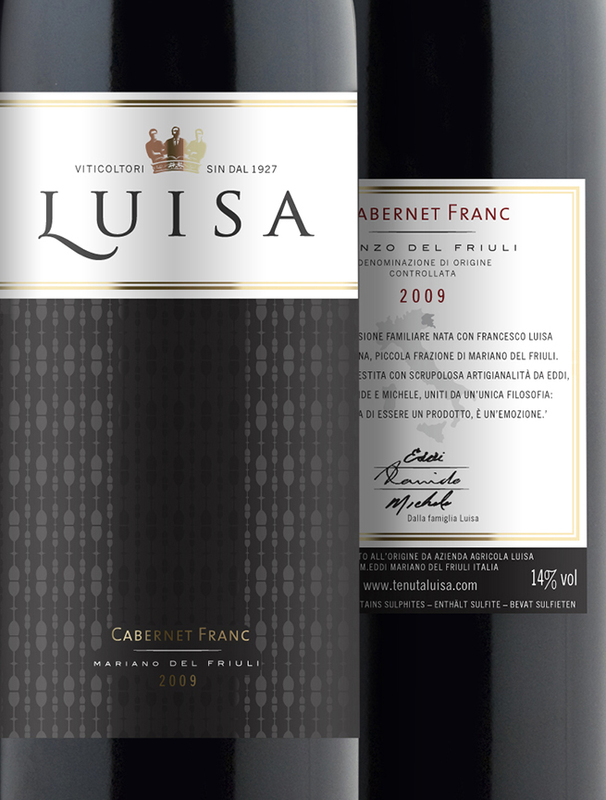 The Luisa family crown which we designed shows Eddi flanked by his sons, winemaker Michele and sales director Davide. 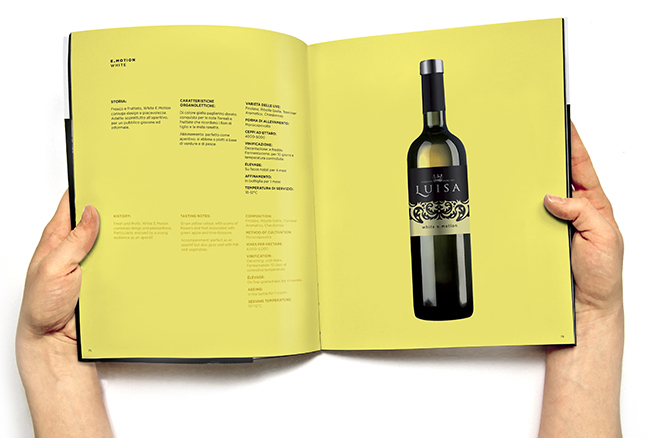 The crown exemplifies family unity, their strong attachment to the land and dedication to producing superb authentic wines. 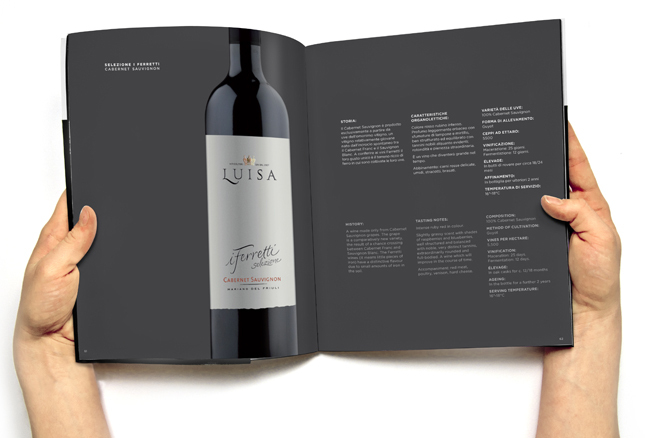 We also advised Tenuta Luisa on their packaging portfolio, helping them create labels for supermarket distribution, such as Waitrose in the UK, as well as high-end premium labels for restaurants and fashionable bars in Italy and overseas. 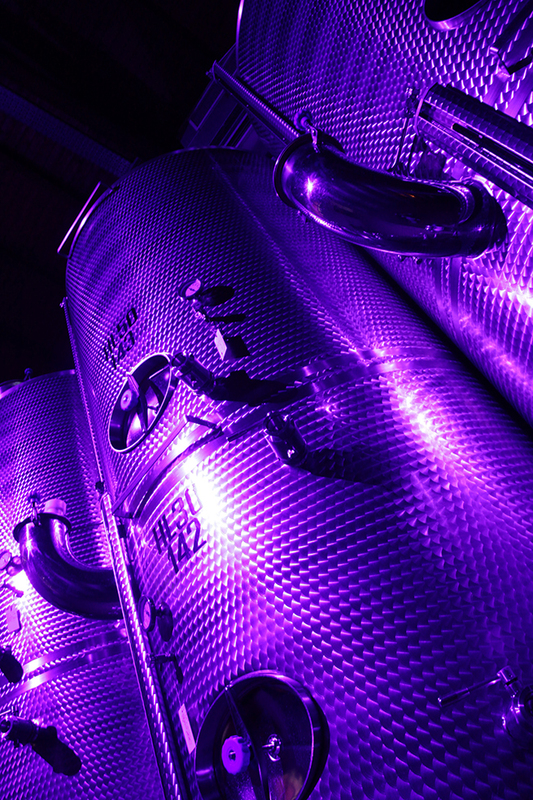 In particular, iFerretti (meaning small iron bits) is a precious wine recalling the soil where the vines are grown, aged in French oak casks and destined for top class restaurants. 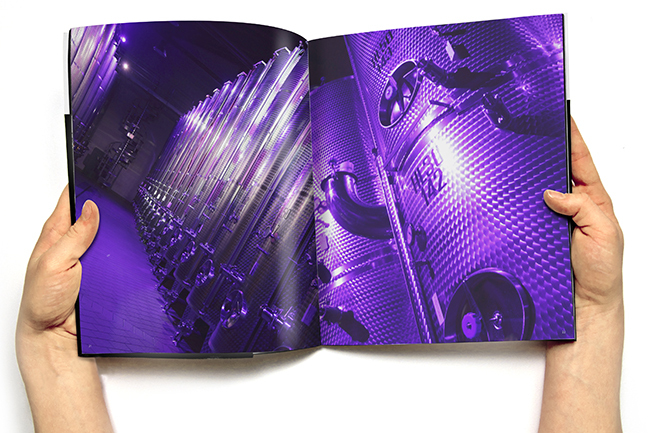 A newer wine E.motion primarily created for a young audience is a popular wine in bars, especially in Asia, including Thailand and China. 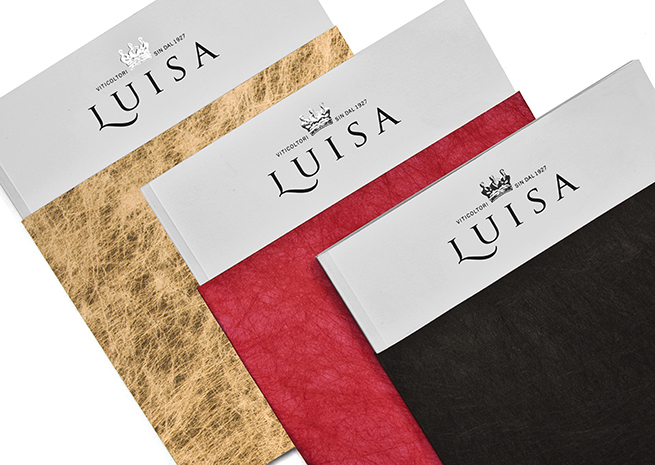 Though the wines are all different, they are easily recognised as coming from the same winery by the Luisa family name and crown. 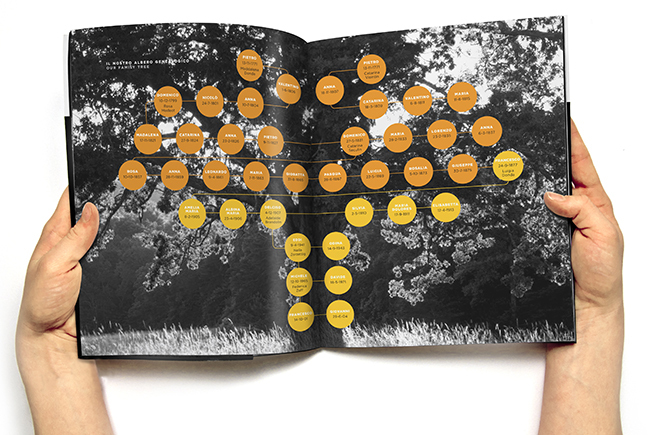 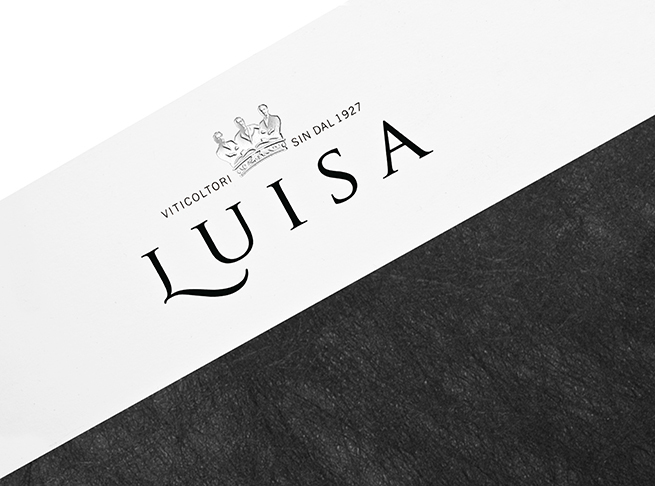 Using our knowledge of the Luisa family’s history, philosophy and wines over 80 years, we designed the visual identity, wine lables, website, brochure and leaflets to reflect the winery’s sense of tradition combined with their forward thinking outlook. 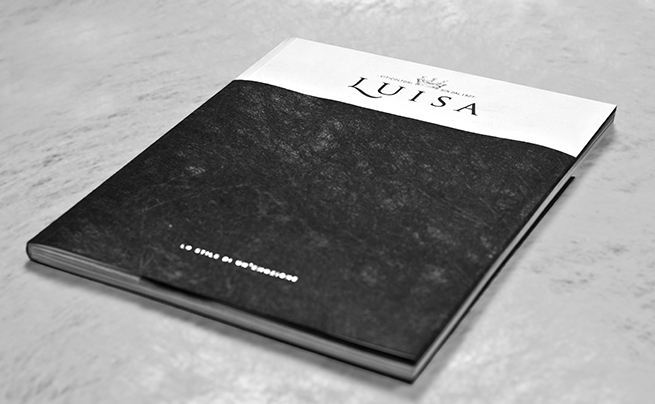 Luisa is a special brand, because its an amazing family.